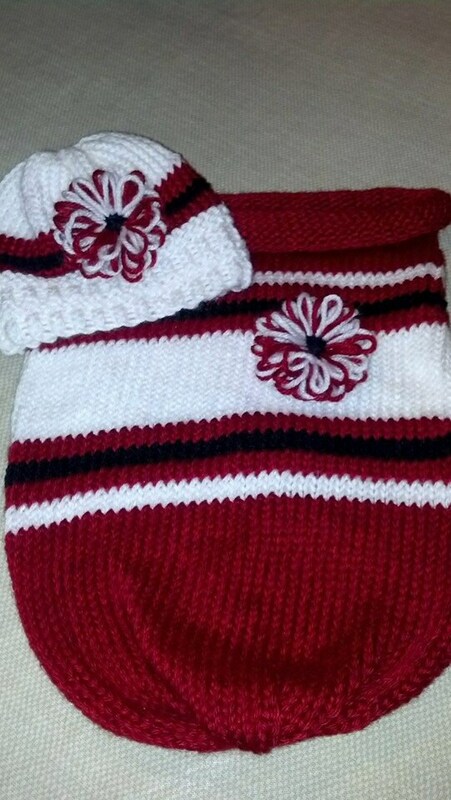 Outfit the newest and cutest member of your favorite team in a sporty baby cocoon and hat to show off your team spirit! 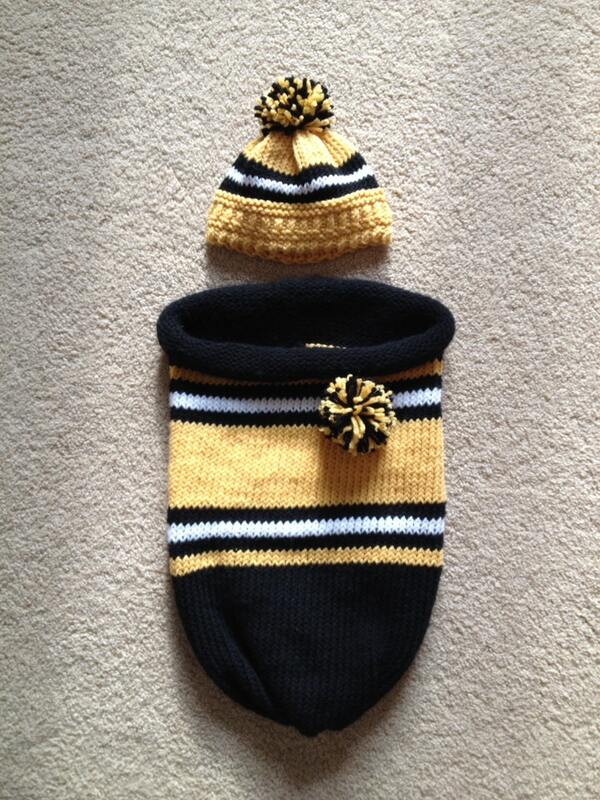 This infant cocoon and hat are knit on 3/8” gauge looms, such as the UK Knit round looms or the All-n-One loom. The cocoon requires 82 pegs and the hat requires 62 pegs. 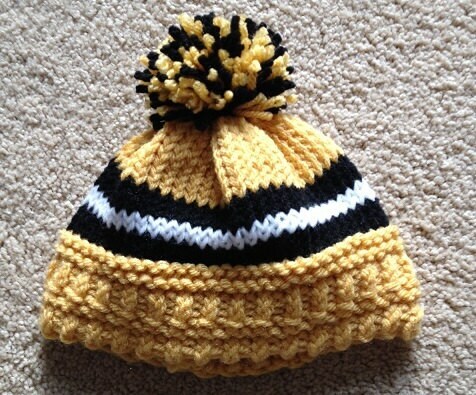 A single strand of worsted weight yarn is used throughout. The only stitches you need to know are the e-wrap knit and the purl. As such, this pattern is considered “easy”.